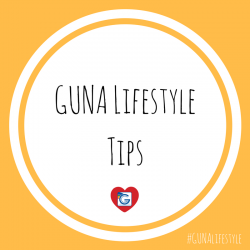 15 GUNA Lifestyle Tips | GUNA INC. 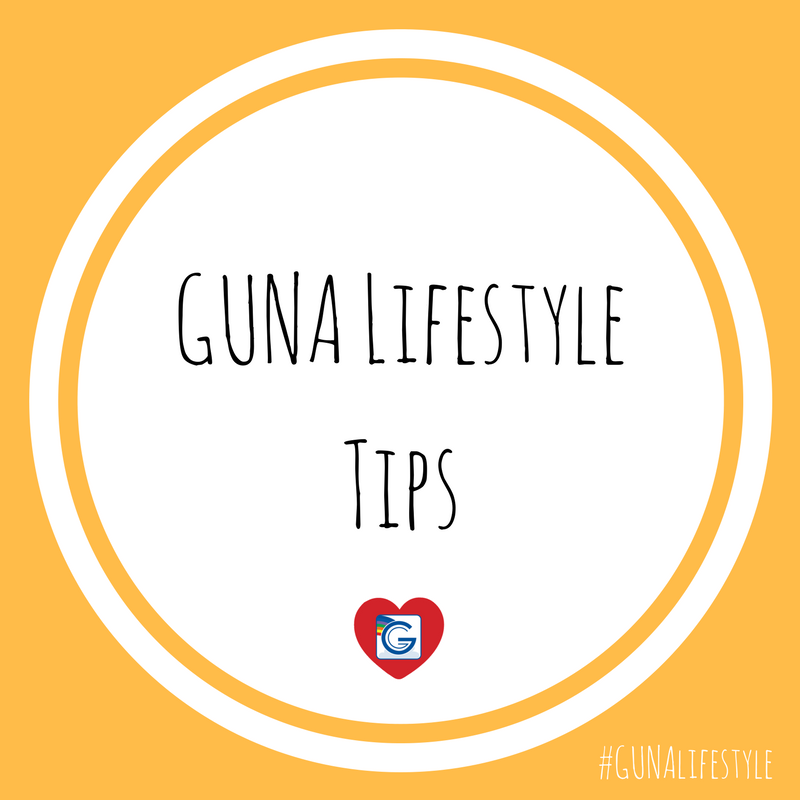 The GUNA lifestyle is all about a healthy, balanced lifestyle to enhance our mind-body connection and to respect our bodies. Below are 16 tips to integrate into your current lifestyle. These tips plus our Physiological Nutraceuticals, such as GUNA-Basic and ProFlora, are most effective together. Even if you just make a few adjustments along the way, you’ll be benefiting your body in the long run. Eat organic, non-GMO foods to promote a healthy gut. Avoid processed foods whenever possible. Protect and promote intestinal health with the use of prebiotics and probiotics. Better yet, try ProFlora which is a synergetic blend of both pre- and probiotics. One little sachet a day makes a big difference in your gut. Whenever possible, breast feed up to at least 6 months. ProFlora is also safe for breast feeding mothers. You can share a healthy gut with your little ones because it’s safe for them, too! Exercise for at least 30 minutes a day. It’s easy to stay motivated about this when you choose an activity (or more than one) that you love to do. Moving the body is a great way to fight the excess cortisol caused by stress. Be more mindful of the amount of salt, sugar and refined fats you consume. Processed foods are known to be packed with them. Tonight try cooking a fresh, home cooked meal for dinner. Short on time? Try a slow cooker recipe and let it simmer all day while you’re at work. Go to bed early and make sure you’re getting 7-8 hours of sleep. To help yourself relax before bed, try mediation or yoga. Turning off electronics 30 minutes before bed can also be essential to a good night’s rest. Pick up an old fashioned book, take bath to help yourself unwind or try GUNA-Sleep. Hydrate with water by drinking at least half your body weight. For example, if you weigh 150 lbs. you should drink 75 oz. of water during the day. Moderate your alcohol and processed juice consumption because they rich in sugars. Ask your doctor about using homeopathic or low-dose medicine to take the place of synthetic medicines. Low-dose products, like GUNA, are effective and don’t interfere with your gut bacteria and don’t have side effects. Re-balance your body’s pH. Fresh fruits and vegetables are known to be effective but alternatively a good supplement like GUNA-Basic can help re-balance your pH. When there is an imbalance it can cause a variety of health conditions. Be aware of ingesting pro-inflammatory foods such as: gluten, food additives, sugar and artificial sweeteners, fried foods and processed & packaged foods. Add more anti-inflammatory foods to your diet such as: green leafy vegetables, fruits (not juices), green tea, raw nuts and foods in omega3 (salmon and flaxseed). Allow 2-3 hours to pass between your last meal and your bedtime. Not eating right before bed can help if you have frequent bouts with heartburn or indigestion. If you eat too much before you might also feel bloated which can keep you up or interrupt your sleep. Breathe slow and deep. Studies show that smooth, steady breaths can reduce heart rate and blood pressure). Take a moment when you’re stressed or before bed to practice deep breathing and meditation. There are many mindfulness apps you can download for guided meditation. Keep an open mind. Work on producing more positive thoughts throughout the day. When you catch yourself thinking negatively, don’t beat yourself up, just replace it with a positive thought. Negative thoughts are pro-inflammatory. Deep breathing can help you refocus on positive thoughts. Everything in moderation. We know that no one is perfect and every now and then you might slip up and resort to not so healthy comfort foods. It’s okay. Living by all these rules can run you off track. That’s why we suggest with adding just a few to your lifestyle at a time. Then you’ll have a more positive experience with changing your lifestyle.